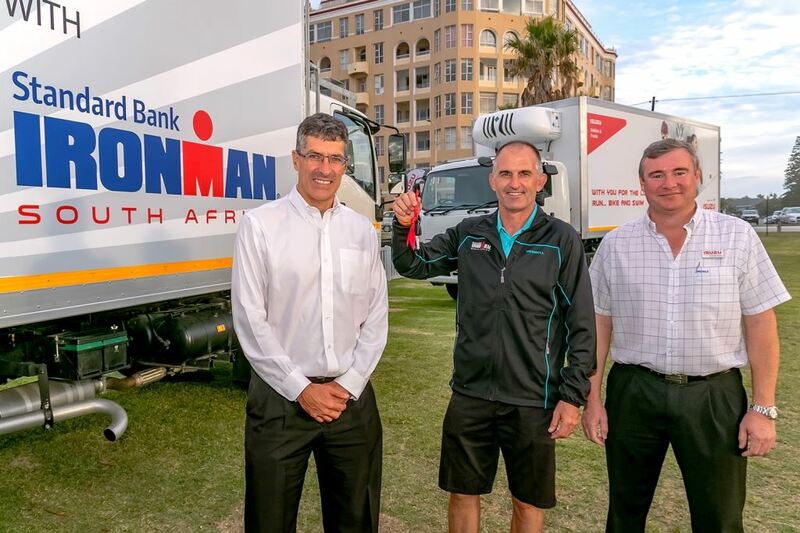 Paul Wolff (centre), Ironman Africa’s director of operations, takes delivery of eight refrigerated Isuzu trucks which were used at the water points during the Standard Bank Ironman African Championship last weekend. With him is Michael Sacke (left), CEO and managing director of Isuzu Motors South Africa and Duncan Young, Isuzu Truck Centre Port Elizabeth dealer principal. Behind every event staged is a truck and in the case of the Standard Bank Ironman African Championship held in Port Elizabeth last weekend, it wasn’t one truck but rather a number of them – all sponsored by Isuzu Motors South Africa. Apart from providing the trucks for the main Ironman event, Isuzu was also the title sponsor of the Isuzu Corporate Triathlon Challenge, the biggest triathlon event outside of the Ironman series in South Africa with a total of 1 650 individual athletes having participated on the Saturday. The Standard Bank Ironman Championships took place on the Sunday with over 2 000 athletes competing. The Isuzu Corporate Triathlon Challenge is exactly 10% of the full Ironman distance consisting of a 380-meter swim, an 18-kilometer bike ride and a 4.2-kilometre beachfront run. Through its participation, Isuzu fulfilled a critical logistical role in both events having handed over eight refrigerated 8-ton Isuzu trucks to the race organisers prior to the weekend events. Through this, Isuzu confirmed its long-standing partnership with the triathlon organisers which started over eight years ago. Craig Uren, Isuzu Motors South Africa, executive officer sales, service and marketing, says the Isuzu brand is synonymous with endurance, durability and reliability – “very much the same as Ironman”. Duncan Young (left), Isuzu Truck Centre Port Elizabeth dealer principal, hands over the keys to the eight Isuzu bakkies to Paul Wolff, Ironman Africa’s Director of Operations. With them is Craig Uren, Isuzu Motors South Africa executive officer, sales, service and marketing. In addition to the eight trucks that were stationed at eight water points during the weekend, another two Isuzu trucks and eight Isuzu bakkies were used during the weekend for various transportation and logistical purposes. 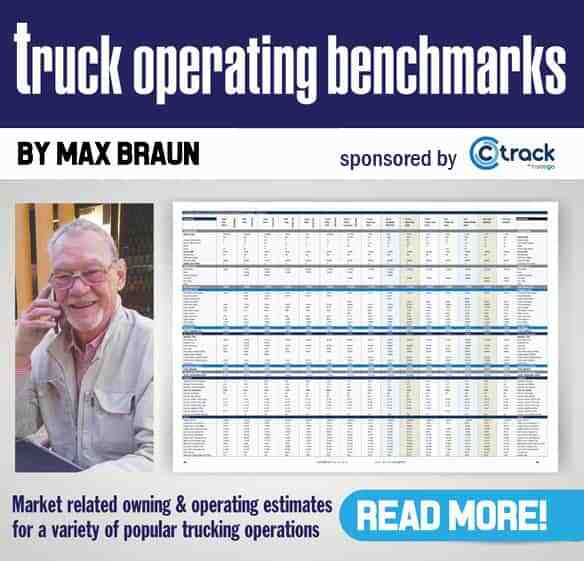 “The partnership with Isuzu Motors South Africa is invaluable. It takes so much pressure off us to make use of the bakkies and the trucks. No other host in the world has a sponsorship like this,” says Ironman Africa’s director of operations, Paul Wolff. “There’s a lot of logistics involved during the events – with three sports in one event, and the different events hosted on Saturday and Sunday. Branding and infrastructure must be moved and stored – everything has a logistical component. 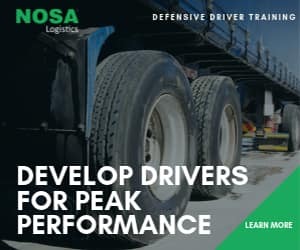 The refrigerated trucks added much value to the event by offering a cold product to the participants,” Wolff adds. The eight water stations, four for the biking leg and four for the running leg of the Ironman event, were manned by volunteers. The Isuzu bakkies and trucks also formed a critical component in the construction of the impressive Ironman set-up at the beachfront, including an Ironman Village, as well as assisting with the road closures, transporting volunteers, athletes and media during the weekend. “No event can survive without partners and we are very grateful to Isuzu. The company is not just a sponsor but a partner,” says Wolff. 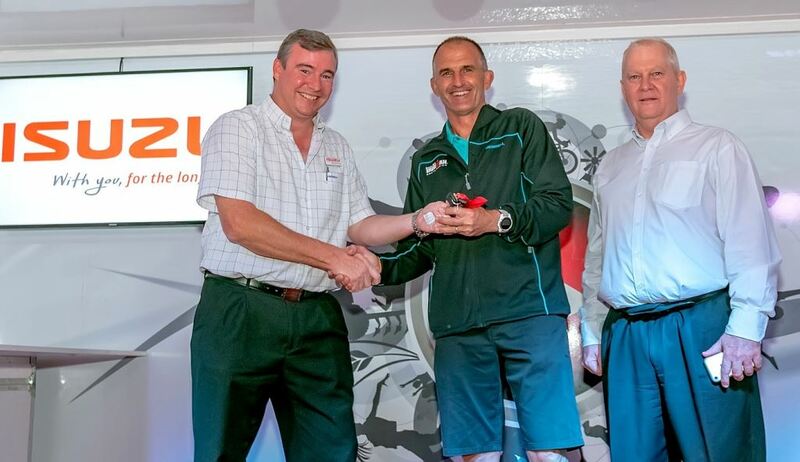 Isuzu Truck Centre Port Elizabeth dealer principal, Duncan Young, says the partnership with the triathlon events is a good fit for the Isuzu tagline – “With you for the long run” – since the vehicles are reliable and the perfect fit for endurance events of this nature.